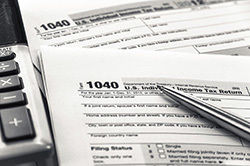 Tax Preparation Services | Monroe Township, NJ Tax Returns | Call J. Mitchell Sincoff, C.P.A.! At J. Mitchell Sincoff, C.P.A. we deliver accurate, efficient preparation of all types of tax returns including corporate tax filings, multi-state taxes and individual income tax returns. Call J. Mitchell Sincoff, C.P.A. now at 732-251-9250 to learn more about our Monroe Township, NJ tax preparation services or request a free consultation through our website. We prepare business tax returns for sole proprietors, partnerships, limited liability companies and corporations. Whether your business operates in New Jersey only or has locations in multiple states, we can prepare and file your State and Federal taxes. We prepare Form 990 tax returns for all kinds of Monroe Township non-profit organizations including churches, charities and foundations.